Right after I finished a ton of research on Haiti for my article on the US introduction of clairin, I noticed an invite to an event showcasing a new rum benefiting Haitian charities. Cool, I thought—another cane juice rum from Haiti! Not so fast. This rum was actually a blend of rums from elsewhere in the Caribbean. Wait, what? Chase Babcock is a handsome guy with a quick smile and plenty of charm. Born in Miami and now based in the Bay Area, Chase is one half of the team behind Saint Benevolence Rum. The other half is his dad Calvin, an industrial engineer with a Harvard MBA who made his bones in real estate before co-founding Living Hope Haiti—a charity providing educational, medical, and economic services in St Michel de Attalaye in Northern Haiti. Along with their partners on the ground in St Michel de Attalaye, Chase and his dad have devoted much of their lives to helping the people of Haiti through their programs. Over the past sixteen years, Living Hope Haiti (LHH) has built five elementary schools, four churches, an orphanage, a medical clinic, and funded other critically necessary infrastructure including bridges and water wells. They also provide three million meals per year to those in need. The work of LHH is almost entirely funded by the Babcock family, but with the introduction of Saint Benevolence, a new funding stream has come online. Besides LHH, Saint Benevolence funds two additional charities: Innovating Health International (IHI) and Ti Kay. IHI is focused on treating chronic diseases and addressing women’s health issues in Haiti and other developing countries, while Ti Kay is focused on providing ongoing TB and HIV care. So by purchasing saint Benevolence Rum, you are directly funding a variety of critical programs including life-saving oncology services. To put it in real terms, through the sale of 15-20 cases of Saint Benevolence, you’re covering the cost of breast cancer care for one patient (LHH does the surgery, then IHI does pathology services, lab work, and chemotherapy). On-premise accounts that hit that level get a hand-written thank you note from IHI’s clinical team, which really drives the connection home. But getting back to the rum, why on earth is it not from Haiti? Well, like many things Haiti, it’s complicated. The Babcocks wanted to start a cane juice distillery in Northern Haiti and age it there, but like many new spirits producers, they wanted a product to sell while theirs took shape. They turned to their friends at Haiti’s most famous and venerable producer Rhum Barbancourt for help, but due to the losses of aged rum suffered during the 2010 earthquake, there was no rhum to be had. The Babcocks would have to look elsewhere. As with many seeking aged rum in bulk, the Babcocks ended up in the Netherlands at the famous rum blender E&A Scheer. I asked Chase what they were after in terms of their first rum’s flavor profile. The clear glass wine bottle is pretty stunning. The branding and package design were developed by Chad Michael, a Dallas-based designer known for intricate lettering and fine line illustrations. The synthetic cork closure is topped with a wood cap and a paper strip with clear capsule; very elegant. Let’s get some in the glass. Exhibiting a deep straw to gold color, a swirl of the glass yields a razor thin ring of microdroplets, a handful of which slowly seek lower latitudes. One the nose we find caramel apple with a slight hint of oak and a touch of pepper. On entry it’s a bit confounding at first, as there is a pop of ethanol that rises to the upper palate while the tongue is coated with a combination of light tannins and a perceived sweetness. Initially at least, it feels like there is more alcohol than the 42% ABV would indicate. With subsequent sips, however, the alcohol dies down a bit and the sweetness ramps up. Simultaneously, additional flavors reveal themselves including burnt cream, vanilla, a touch of nutmeg, and a bit of oak. Now that Chase and Calvin have established the brand and secured distribution in California and Florida, the next step is to introduce their own clairins from a Haitian distillery in which they are part owners. Located in the same town as the Sajous distillery of La Maison & Velier fame (and 148 other distilleries) it is the family distillery of LHH Co-Founder Rev Dr Gueillant Dorcinvil. I got the chance to taste two early expressions of the unaged clairin, and though I didn’t have time to develop detailed notes, I thought they were both tasty and well made. As of this writing, the team in Haiti is making a second production run of the Saint Benevolence clairin, and a label has been submitted to the TTB for same. In addition to the traditional unaged clairin, more new make spirit will be laid down in oak for a future aged release. 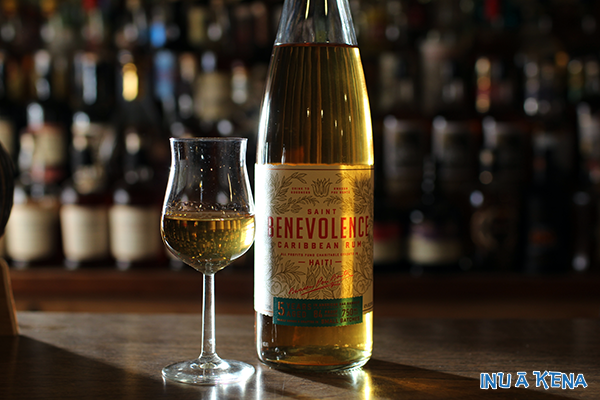 The initial Saint Benevolence offering is impeccably well-packaged and quite quaffable, however, I must admit I’m more excited about the clairin coming online. 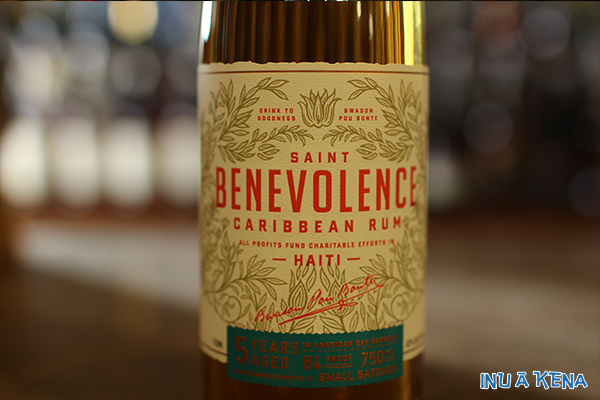 It’s my hope that the availability of the Saint Benevolence clairin will simultaneously expand what many consider to be the most exciting category in cane spirits, and help to clear up any confusion about the brand’s origins and Haitian credentials. Jumping into the rum market is no easy task (as many readers of this site will tell you) but neither is running a charity in Haiti. I for one wish the Babcocks the best of luck with this initial offering, and can’t wait to see the Saint Benevolence clairins stateside. 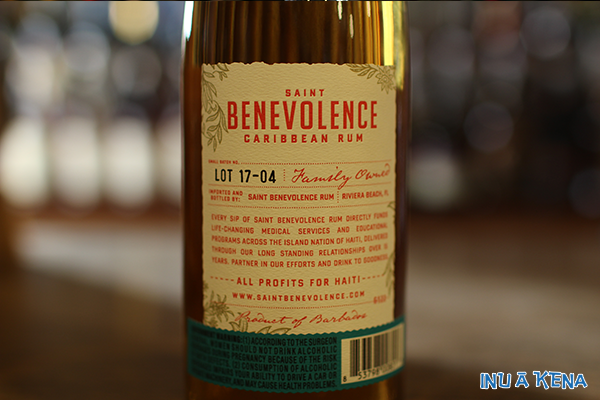 In the meantime, buy a bottle of the Saint Benevolence Five-Year and “bwason pou bonte” (drink to goodness)!